The name says all. 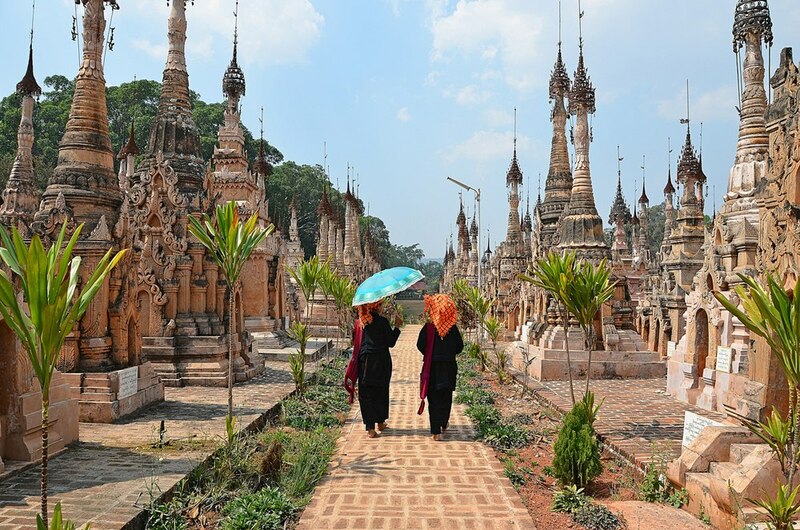 “Highlights of Myanmar” is the best trip we design to take you to all best places to visit in Myanmar: Mandalay, Bagan, Inle Lake and Yangon in 8 Days with hope that you have a good exploration in this beautiful country. Mingalabar! Welcome to Mandalay, the last royal capital and the second-largest capital of Myanmar. During 1-hour drive from Airport to your hotel for check in, you will have a chance to see the local life and stunning views along the road before arrival in Mandalay Central. Upon arrival at your hotel, you will check in and relax for your tour tomorrow. Lunch and Dinner on own account. Overnight stay in Mandalay. After breakfast, around 8.30AM, we will start to visit to the Mandalay Palace Kyauktawgyi Pagoda, a giant Buddha carved from one marble block. The next stop is known for The World’s biggest book with Buddhist teaching inscribed on 729 marble slabs. Then, we will stop at Shwenandaw Monastery, built in 1880 with remarkable woodcarving’s structure. 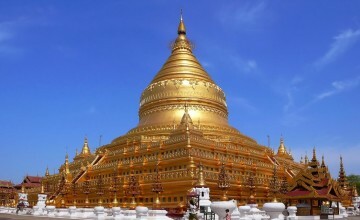 In the afternoon, head to visit to Mahamuni Pagoda, one of the country’s most honored Buddha images, completely covered in gold leaves that are every day applied to the statue by male devotees. There are also many craft workshops in Mandalay and, should you wish, we can stop for a visit to one making gold leaf, tapestries, wood carvings or marionettes if you are interested and if time allows. Next drive to Amarapura, Myanmar’s penultimate royal capital. Pay to visit Mahagandayon monastery – a centre for monastic study and strict religious discipline as well as a house of thousands monks. 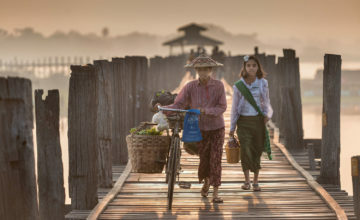 Afterwards, you could walk to U Bein Bridge, a oldest and longest teakwood bridge in the world. It was built in the end of 18thcentury with 1.2 km long across Taungthaman lake. Enjoy the late afternoon beauty as the sun casts long shadows and illuminates the bridge. As a stunning day comes to an end head back to Mandalay. Lunch and Dinner on own account. Overnight in Mandalay. Say goodbye with Mandalay and we will transfer to Airport to take a domestic flight to Bagan. 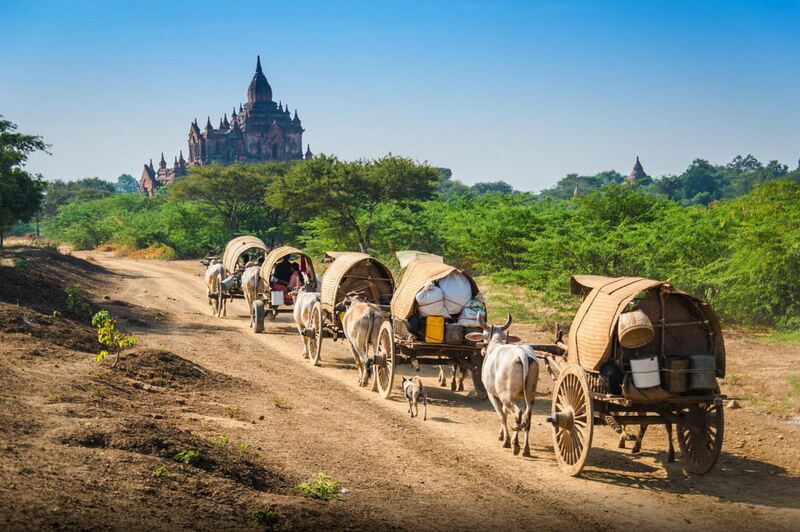 Upon arrival in Bagan, known to be one of the greatest architectural sites in Asia, you will admire Bagan with more than 4000 red brick temples and pagodas on a plain. 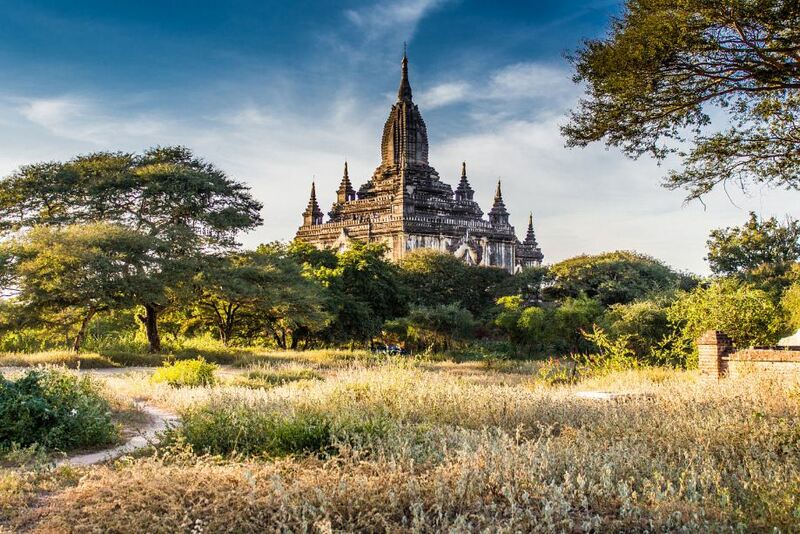 Discover the best of Bagan today! 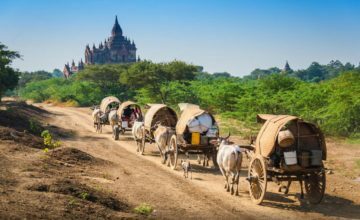 You do not simply have a chance to see the splendid Bagan temples, but you also could explore Burmese culture and traditional craftsmen at work as well as admiring the mighty Irrawaddy River! From here, you will amaze with the sheer number of temples and their distinctive styles. Then, transfer to visit Ananda Temple, one of four surviving temples in Bagan. Continue your excursion with various other temples dotted around the temple plains to experience a variety of architectural styles in the area as well as the artistic wonder of the 9-14th centuries. Traveling amid the temples you will get a taste of rural Bagan life in this ‘living museum’ setting where farmers and families work amongst the monuments. Afternoon back to your hotel for relax. The morning will start off with an exciting hot-air balloon ride above the Bagan countryside. You will observe one-of-a-kind views when the sun begins to rise over the Irrawaddy River and various stupas in the region. You’re simply not going to find many other opportunities like this on Earth. Today, we will visit Nyaung U Market, where the locals come to trade fresh produce and other goods daily. 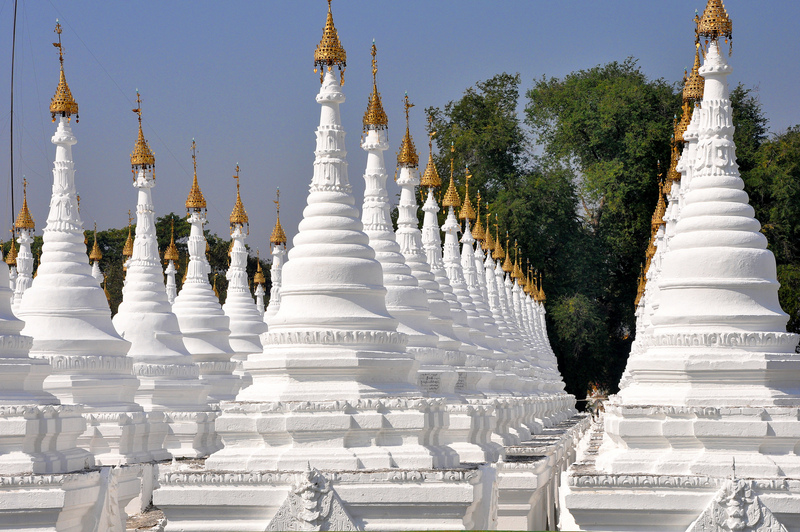 Then, Shwezigon Pagoda – constructed by King Anawrahta in the early 11th century as a religious memorial will be the next stop. You will have a chance to travel over dusty lanes and tree-shaded roads past temples and monasteries to a small village. We will walk aroundthe village and glimpse of local life of Bagan’s residents. After that, we will continue the trip for an excursion to discover Thatbyinnyu, the tallest temple in Bagan, then go to the largest temple – Dhammayangyi Temple with remarkable brickwork, and Sulamani Temple. 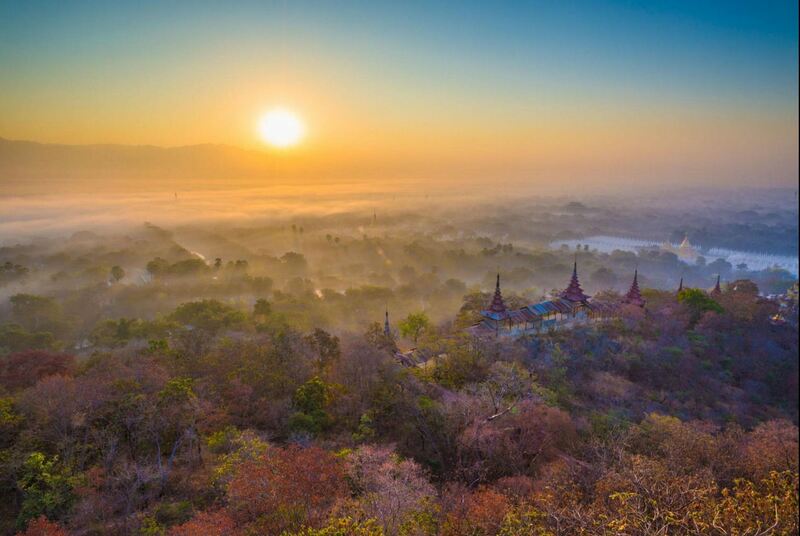 Finally, enjoy an extraordinary sunset from one of the highesttemples and pagodas in Bagan. Enjoy your breakfast at hotel, our guide and driver will pick you up from hotel to Nyaung U Aiport for domestic flight to Heho. Upon arrival Heho, we will transfer 1-hour to NyaungShwe, gateway village to Inle Lake. 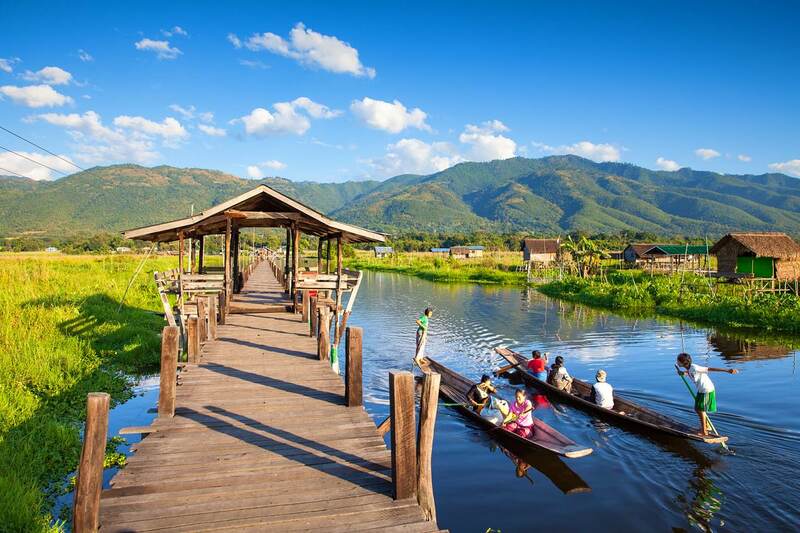 Then, we will admire the stunning and breathtaking sights at Inle Lake on a private motorboat. Downstream along the lake, you will have a chance to observe the daily activities of the local life and admire the floating villages as well as bustle into nature with floating gardens. Specially, you will surprise with one leg-rowing fisherman, one of the best unique highlight at Inle Lake. The next stop is NgaHpeChaung Monastery, known for “jumping cats” in the past. Afterwards, we will boat to PhaungDawOo Pagoda with five sacred images of Buddha decorated in gold leaf. 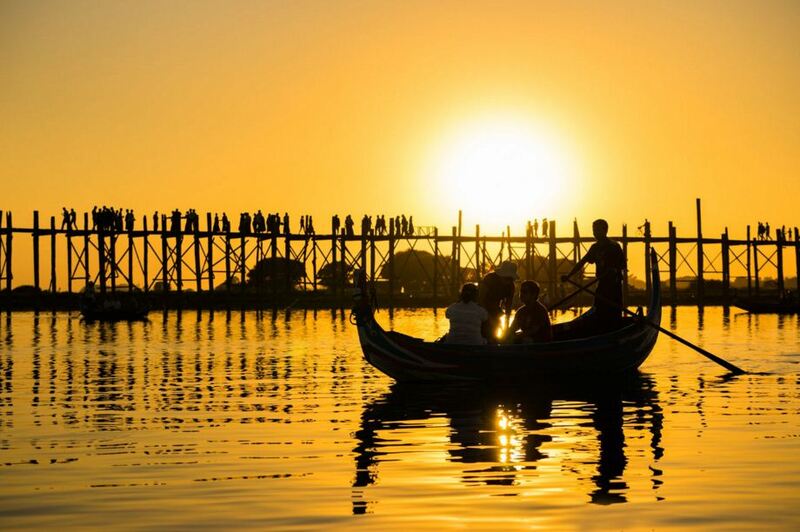 If time permits and you wish, we could visit many traditional crafts originating on Inle Lake aslotus weaving, boat builders (depending on the time of year), a cigar making workshop, blacksmiths or even silversmiths. Lunch and Dinner on own account. Overnight in NyaungShwe. In the morning, you will have a chance to bustle into lake’s morning market, it opens every day apart from the dark moon and full moon calendar days. The market is a place for all lake’s residents to sell and buy fresh produce and other goods in the early morning. Then, we will down to visit the Pa-Oh Village of Indein on a 1-hour boat ride,Indein is located on the western shores of Inle Lake. Walk around the village before you climb up the moss-covered stairway to the top of a hill. Upon arrival at the top, you will admire an iconic Buddha Image which sits enshrined among hundreds of stupa ruins and overgrown shrubbery. Continue with trekking to Sae Ma Village on 45 minutes. Along the way, we’ll enjoy the natural beauty and panoramic vistas of the area while basking under the shade of the bamboo grooves in the area. Upon arrival at the village, observe the daily lifestyles of the rural inhabitants. In the late afternoon, we will transferback to your hotel for relax. Lunch and Dinner on own account. 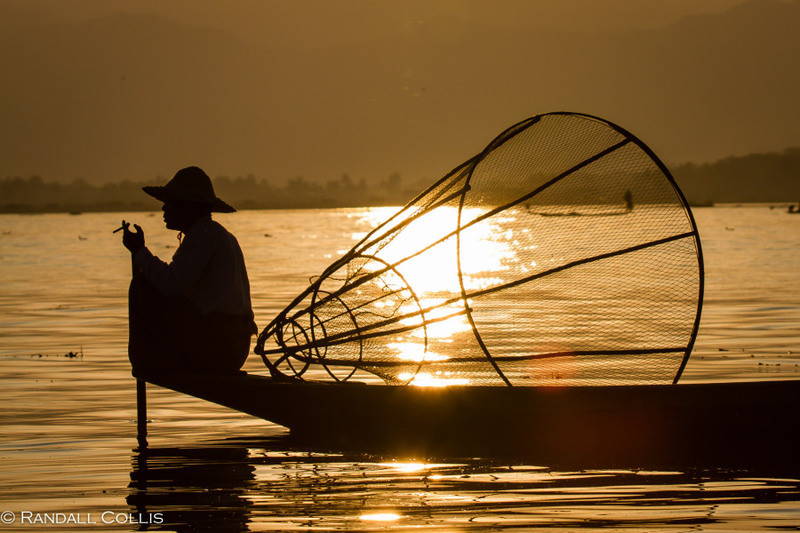 Overnight on Inle Lake or NyaungShwe. Enjoy your breakfast at your hotel before we transfer back you to Heho Airport on 1-1.5 hour for a domestic flight to Yangon. Upon arrival in Yangon, our guide and driver will welcome you and then you will be transferred to your hotel for check in. 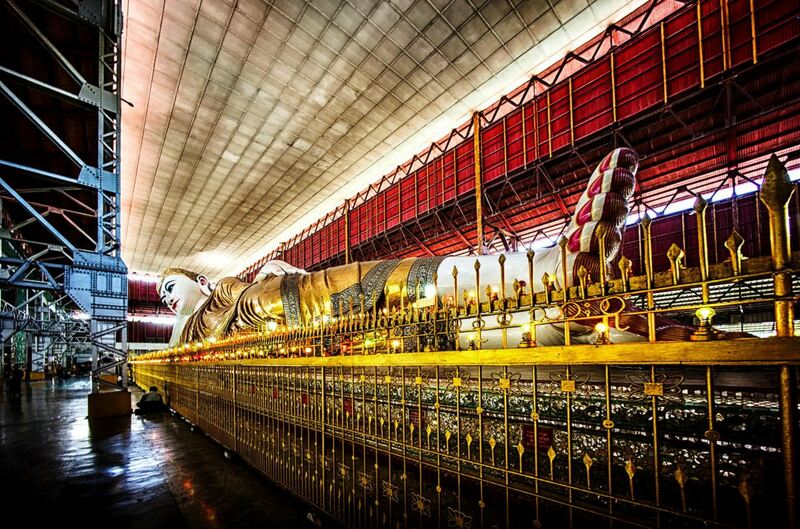 We will start your sightseeing to visit Kyaukhtatgyi Pagoda with a 70-metre reclining Buddha. Then down to Chinatown to enjoy the bustling scenery and incense of the colorful Khen Hock Keong Chinese Temple. You could explore the vibrant street stalls and try some kinds of fruit, vegetable and other goods. Walk around and take some photos before leaving Chinatown. The next stop is the gleaming royal barge at Kandawgyi Park and thenenjoy sunset from Shwedagon Pagoda. The next stop is the gleaming royal barge at Kandawgyi Park and then enjoy sunset from Shwedagon Pagoda. Along the eastern entrance, you can see a row of shops selling various religious items such as monks robes, alms bowls and etc. 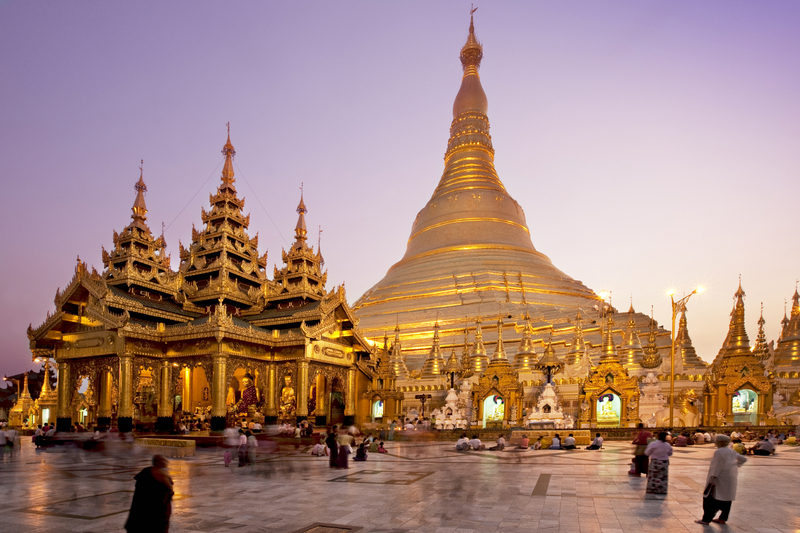 When you enter to the main platform of Shwedagon, you will gaze in awe at the 100-metre gold-covered chedi. Lunch and Dinner on own account. Overnight in Yangon. After breakfast, you will enjoy free day until transfer back to Yangon Airport for your international flight. Thank you for your interest in Highlights of Myanmar. Please fill in your details below and we will contact you by phone or email within 24 hours.